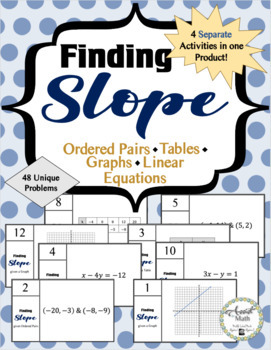 This product contains four (4) separate activities for finding the slope of a line. 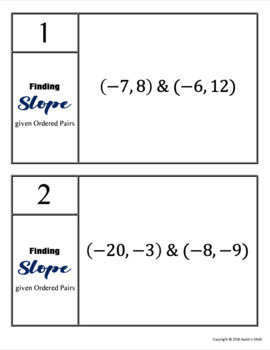 There is also a duplicate set of the questions that are not numbered so that you have the flexibility of mixing the different types of questions. 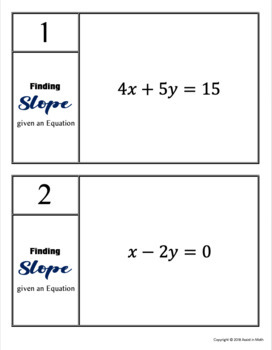 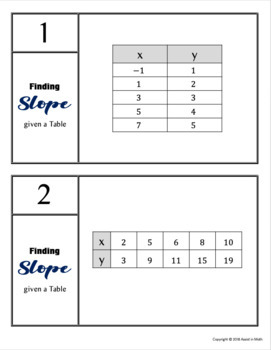 Each activity has 12 question sheets that include findings the slope from ordered pairs, tables, graphs, and linear equations not in slope-intercept form.